 Mouse anti Human TdT antibody panel, clones HT-1, HT-4, Ht-8 and HT-9 is a mixture of 4 monoclonal antibodies specific for human terminal deoxynucleotidyl transferase (TdT). TdT is a DNA polymerase responsible for the catalysis of non-reversible addition of deoxynucleotides to the 3' end hydroxy groups of DNA. TdT levels are enhanced in all forms of acute lymphoblastic leukaemia (ALL) and in a significant number of chronic lymphoblastic leukaemia cases (CML). TdT is not expressed in the majority of myeloid leukaemias, non-Hodgkins lymphomas or mature lymphoid leukaemias. Wolgast, L.R. et al. (2011) Spectrin isoforms: differential expression in normal hematopoiesis and alterations in neoplastic bone marrow disorders. Am J Clin Pathol. 2011 Aug;136(2):300-8.